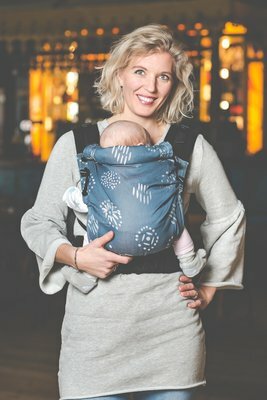 New to Pure Baby Love - baby sling, ring sling, baby carrier? Creating an account is very easy! Hello, if you log in you can keep a wishlist, see your orders and much more! 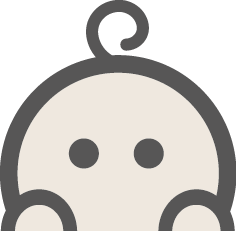 Here you will find the instruction for the Pure Baby Love baby carrier. Please read our safety instructions carefully before use. 1. Click the shoulder strap onto the narrow strap that comes out of the hip belt. Together these two form the complete shoulder strap. For safety you pull the clip through the elastic band. 2. You narrow the baby carrier on the hip belt by loosening the velcro. For a small baby it goes at its narrowest. 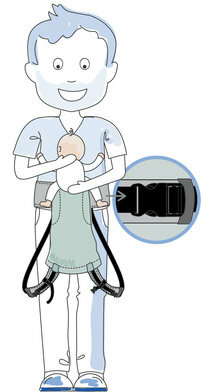 If your child is a bit older, then the width is correct when the carrier supports from knee pit to knee pit. 3. With this strap you can shorten the back panel. You will do this with a small baby, so that your child is nicely supported up to the neck. The material that 'stays over' will fold very easily and nicely over each other. 4. 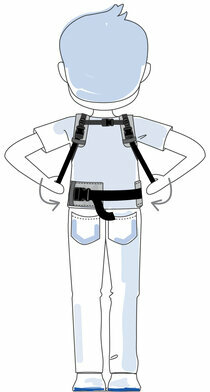 The strap that will soon be clicked between the two shoulder straps is adjustable in height. You can adjust this nicely if you have tried the baby carrier the first time. 5. The baby carrier is provided with padding in the knee pits. This ensures optimum comfort for your child. 6. The sleeping hood is mainly intended for supporting the head when your child falls asleep, when carrying your little one on your back. The sleeping hood is not used with small babies. With a small child, you can roll and secure it. This gives extra support at the neck. You can also pull the cord under the cap, to adjust if necessary. Please note: back carrying is only recommended when your child can sit itself. The baby carrier is set, time to use it! Make sure the shoulder straps have a lot of space and that all the bands hang loose. This makes it much easier to use it. Click the hip belt around your waist and pull it. With a small child, the hip belt is always fairly high at your waist. This is because you always want to carry your child at the right height, named 'kisses height'. 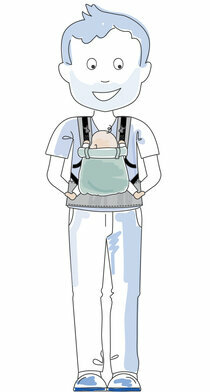 If your child is in the baby carrier on the right height, you can easily give him / her a kiss on the head. When you click the hip belt, always pull the clip through the elastic band for extra safety. The back panel is hanging down and then you will grab your child. Hold your child against your chest and let the legs hang over the hip belt. Hold your child with one hand and grasp the fabric of the back panel with your other hand. You get this through the legs and spread out over the back of your little one. Then you put the shoulder straps over your shoulder. Always keep your child firmly attached. Important is a little extra attention for the strap at the legs of your little one. The shoulder strap should be under the leg and not over it. Then you click the strap between both shoulder straps on your back and pull it until the shoulder straps are being hold together nicely. This ensures that the carrier will stay in place and you will wear more comfortably. 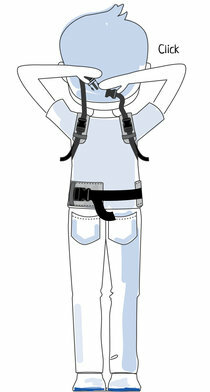 Then take the loose straps of the shoulder straps and pull them firmly forward. This makes the baby carrier sit securely attached. The strap between the shoulder blades can still be raised or lowered if desired. A child must always have a nice deep seat. 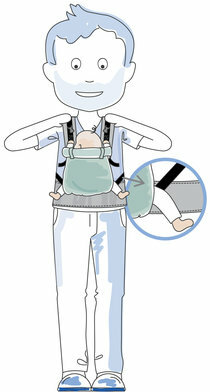 If you lift the knees of your little one, the buttocks will be nicely fit in the baby carrier. If necessary, fold the fabric of the baby carrier neatly over each other. Your child then has a complete ergonomic position: supported from knee to knee, a round shaped back and support up to the neck. It is important that the baby carrier is firmly tightened and your child is optimally supported. That makes babywearing safe and comfortable for you too. Before carrying, always read our safety recommendations on our website. Are you stuck? 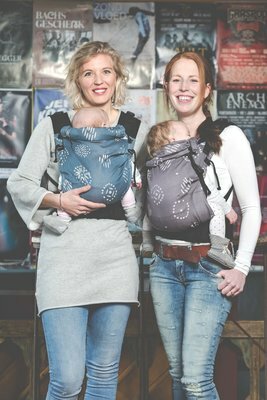 Feel free to contact a babywearing consultant or send us a picture, our babywearing consultant will gladly help you! 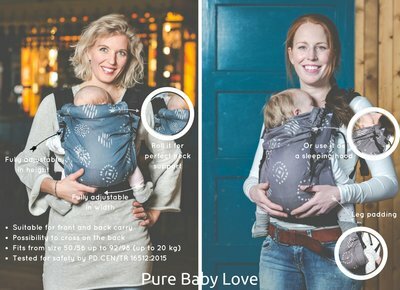 The Pure Baby Love carrier is perfect for you! 100% ergonomic baby carrier. It means it supports your baby from knee to knee for an optimum hip position. As it is made of ultra-soft baby sling fabric, your child can retain the natural bulge of its back. 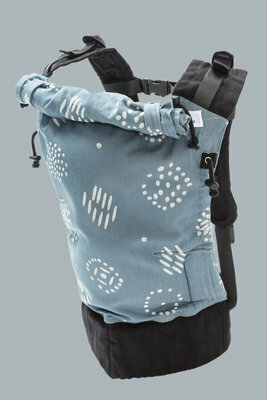 The baby carrier is made of 70% cotton and 30% bamboo. The baby carrier is ultra-soft and light.. The baby carrier fully supports your baby. It feels comfortable. The padding in the knee cavity prevents the fabric from cutting. 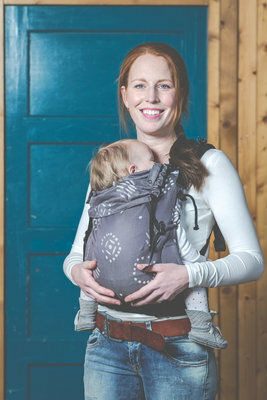 The baby carrier offers the possibility to create a roll in the neck to fully support the baby’s neck and head. 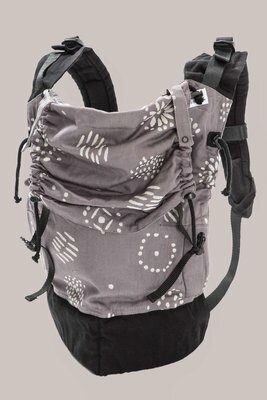 The baby carrier is fully adjustable and durable. It is available from size 50 to size 86. The PBL baby carrier has been tested according to the PD CEN/TR 16512:2015 standards, a very extensive safety test. The safety test proved the baby carrier can carry max. 20 kg, doesn’t any contain harmful substances, unsafe closures or clips and is made of a fire-retardant fabric. The baby carrier can be worn either on back or belly. Back carry is only recommended once your baby can sit itself.